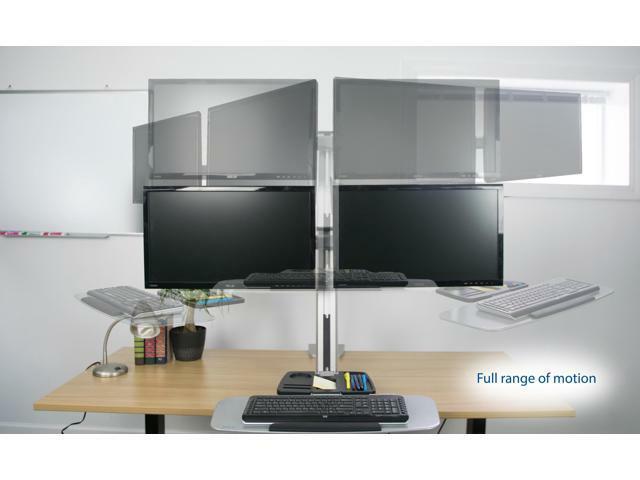 Dual monitor sit-stand workstation (STAND-SIT2S) with deluxe gas spring technology from VIVO. 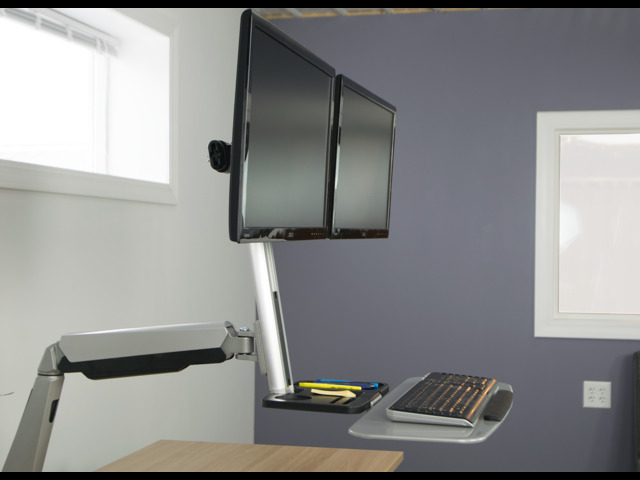 This sleek design is an affordable solution that mounts to your current desk using a clamp or grommet mount and allows you to work from either a standing or sitting position. 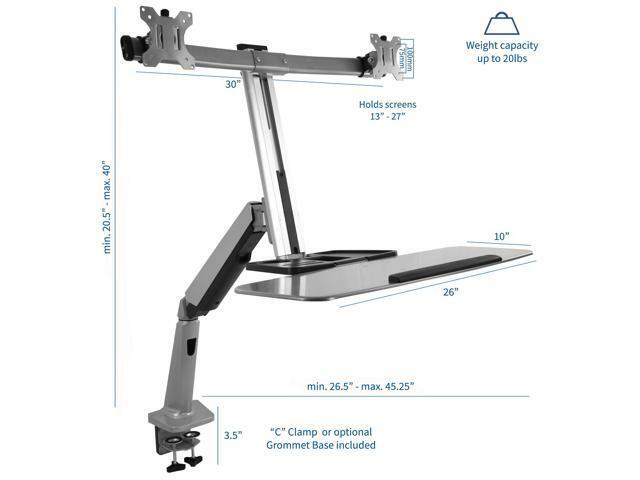 The counter balance gas spring allows for simple hand adjustment to transition between standing and sitting positions in a matter of seconds with no tools required. 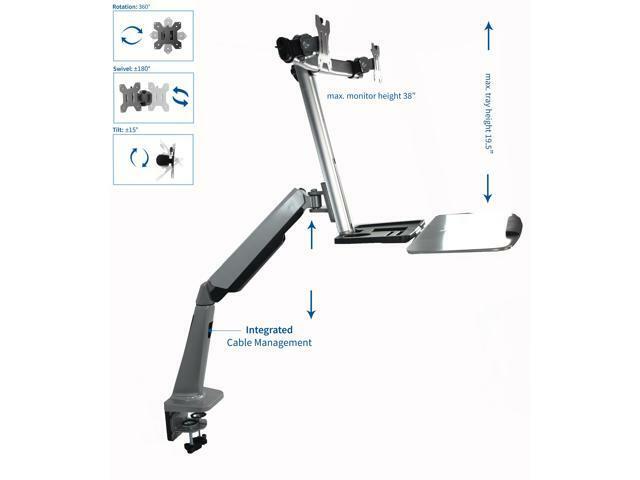 This workstation offers 15 degree tilt, 180 degree swivel, 360 degree rotation. 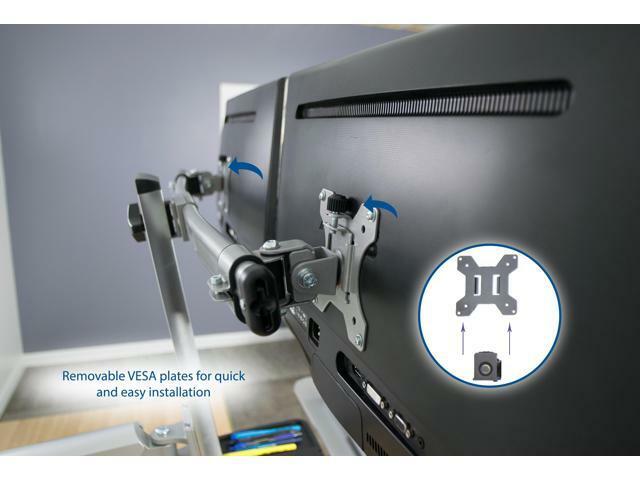 Integrated cable management allow you to keep power and A/V cords clean and organized. 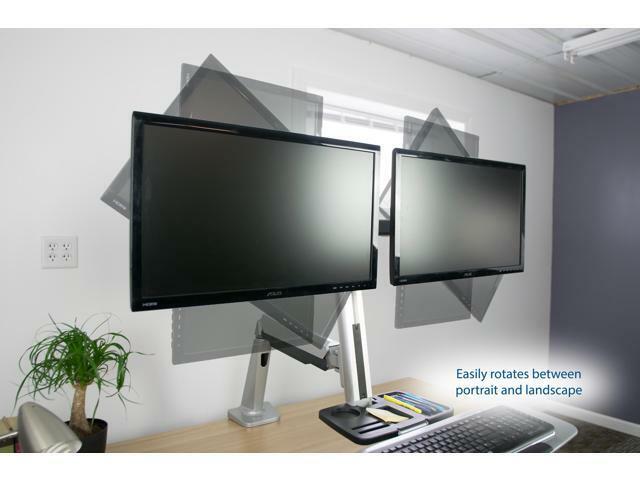 This is a standard VESA mount that fits 75x75mm and 100x100mm holes, and is built to hold two screens up to 27" each. The total weight capacity for this stand is 28 lbs. 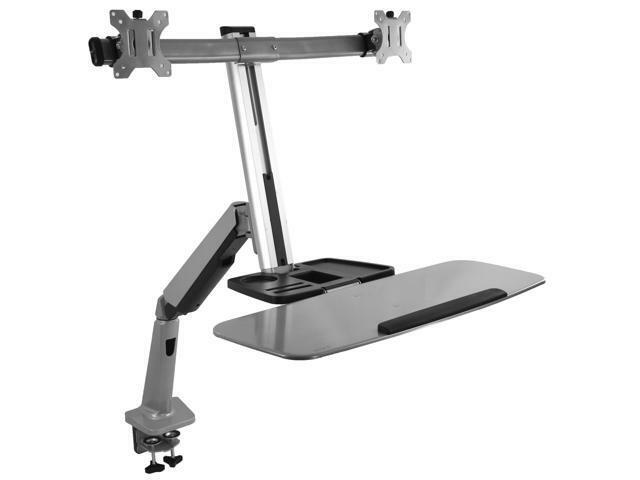 Mounting options include a 3.50" heavy duty C-clamp and a 3.25" grommet to fit a variety of unique desk systems. This item is covered by VIVO Return Policy.